Or is he just blowing smoke? No matter how many handy gadgets we recommend, the 4/20 holiday is legally tenuous for tokers in the 21 (mostly red) states that don't allow for recreational or medical marijuana use. But that could change with a word from the president. A week after promising Colorado's Republican senator that the feds would keep their hands off state-sanctioned marijuana operations, Trump has the opportunity to make good on his word. Will he? While on the campaign trail, Donald Trump repeatedly promised to leave the matter of cannabis legalization to the states. However, shortly after entering office, both he and Attorney General Jeff Sessions, who himself had promised the same during his confirmation hearing, pivoted on the issue and threatened a federal crackdown on both recreational and medical marijuana in states where it was legal. 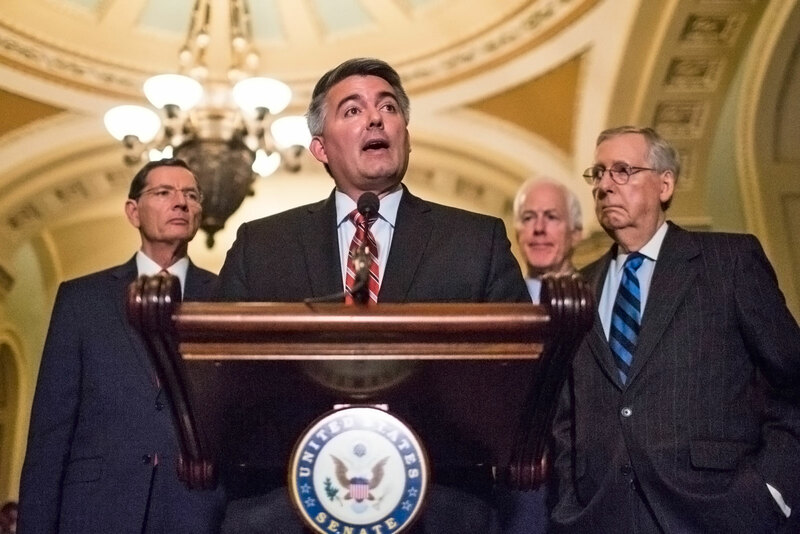 This led the freshman GOP senator from Colorado, Cory Gardner, to blockade any and all of the President's DOJ nominees until he received assurances that the feds would not interfere with state-regulated cannabis businesses. Last Friday, Trump broke the standoff and promised to uphold his campaign pledge and leave cannabis legalization to individual states. But given how often the president pivots on well, just about every issue put before him, not to mention Sessions' zealousness in enforcing drug statutes that incarcerate and harm minorities, can we really trust that this administration will do right by medical marijuana patients and respect states' rights? Jonathan Havens, co-chair of the Cannabis Law Practice at Saul Ewing Arnstein & Lehr, is not convinced. "I'm generally a bit skeptical," Havens told Engadget. "Interested, encouraged, but skeptical ... until there's actually a proposal that's out there, it's debated, it's voted out of Congress, and the president signed it into law." The entire debacle started in January when Sessions announced that he was rescinding the Cole memo, along with three other memos. The memo informed US attorneys that, due to limited resources, the Justice Department would not enforce its federal prohibitions on cannabis in states that had "legalized marijuana in some form and ... implemented strong and effective regulatory and enforcement systems to control the cultivation, distribution, sale and possession of marijuana." Fearing that federal enforcement would negatively affect the legal-weed industry in his state, Gardner declared a blockade on the administration's DOJ nominees. "Personally, I thought that was an interesting approach," Havens said. "Seemingly, the response from the White House recently is that worked." "Whether a bill can get through both the Senate and the House, whether there's the votes for that, what's in the bill, and then whether the President actually follows through on his support are things that remain to be seen," Havens said. The administration has a consistent track record of reversing its position on issues, which invites skepticism. He points out that the administration fully reversed its position on the Trans-Pacific Partnership deal in the course of just 24 hours earlier this year. Trump has reversed course on a number of issues, from transexuals serving in the military to granting Dreamers amnesty. What's more, Trump's position on cannabis is running counter to his attorney general's. What this bill would even look like -- and how it would navigate the tensions between states' rights and federal enforcement -- remains a mystery. On one hand, it could simply be a standalone bill in the same vein as the Rohrabacher-Blumenauer Amendment. This amendment was introduced in a 2001 piece of legislation and voted into law as part of the 2014 Omnibus package. It prohibits the Justice Department from spending federal funds to interfere with states implementing medical-marijuana laws. That is, it says that the DOJ bill can't prosecute people who are in compliance with state law. Banking regulations are a major roadblock for the cannabis industry. Banks must already follow a litany of regulations to ensure that depositors aren't, say, trying to launder illegal drug money. And for cannabis-related businesses, the regulations are even more unforgiving. This has resulted in a significant shortage of banks willing to do business with cannabis companies, with usually only one or two state-level banks available. National chains like Bank of America or PNC are off the table. Faced with increased scrutiny from the Treasury Department and higher overhead costs associated with properly documenting and reporting cannabis-related banking activity. "A lot of these banks have decided it's just not worth their while," Havens explained. "So they're just not gonna do it." Financial insecurity isn't the only thing that business owners need to worry about. Since his confirmation, Sessions has adopted a hardline stance against medical marijuana that runs counter to the White House's public position. "I've seen some reports in trade press particularly, which suggest that a marijuana business, even one authorized under state law who has 60,000-plus plants could be, if it's interpreted strictly, subject to the death penalty under one of Sessions' recent memos," Havens said. Havens is referring to a memo that Sessions sent to federal prosecutors in March, encouraging them to seek the death penalty in drug cases by exploiting the Continuing Criminal Enterprise or Kingpin statute. 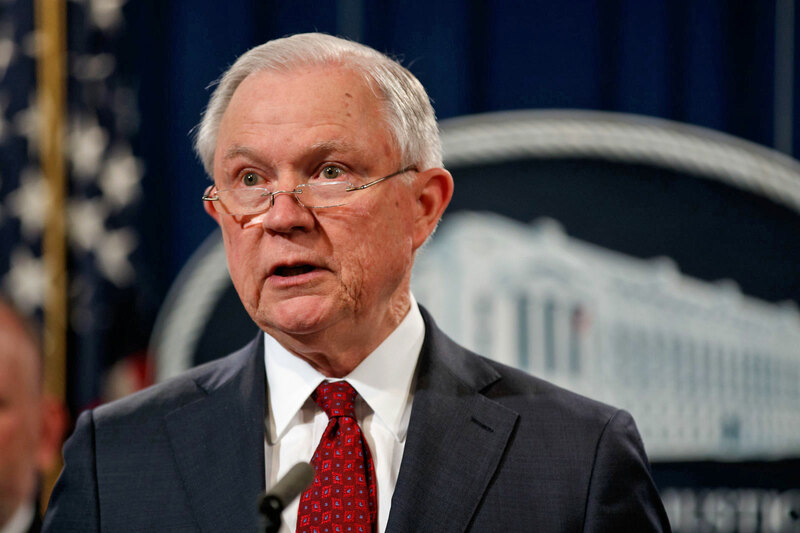 "Congress has passed several statutes that provide the department with the ability to seek capital punishment for certain drug-related crimes," Sessions said in a statement. "I strongly encourage federal prosecutors to use these statutes, when appropriate, to aid in our continuing fight against drug trafficking and the destruction it causes in our nation." Whether that tactic will work also remains to be seen. "The Supreme Court has consistently refused to sanction the use of the death penalty in crimes other than homicide. That makes another signature Trump policy headed for legal trouble," Ames Grawert, senior counsel in the Justice Program at the Brennan Center, told CNN in March. Despite the risk to individual business owners, national legalization legislation, the likes of which Trump is suggesting, likely won't have much impact on ongoing border security and smuggling enforcement operations. Drug laws authorize people only to cultivate, process, dispense or use cannabis within state borders. As Havens points out, "if DOJ saw, under the Cole memo, that people were diverting supply to youths, if they saw that people were transporting across state lines, if they thought people were under the influence while driving, they reserve the right to go after people." "I would be surprised if there's not some sort of a carve-out. I don't see the White House supporting something like that, but again, that remains to be seen," Havens said. "But I don't see there being an international perspective to this, because unless marijuana is descheduled, moved out of Schedule I, there's not gonna be any change to the fact that it can't be imported into the country." National legislation protecting existing state laws, if not expanding those protections to the federal level, would go far in preventing Sessions from targeting America's burgeoning cannabis industry and the president could make it happen. But, given Trump's volatile nature and the chaos that drives his administration, these promises of national weed legalization could very well go up in smoke.